It was like a ray of sunshine had engulfed our studio when these gorgeous girls came for a visit this morning. Nyah Frew and Emily Croker sparkled with enthusiasm for the Waihi College Talent Quest that is happening at Waihi College tomorrow, Wednesday, September 26. The quest for talent is a fundraiser which everyone is invited to. There is going to be plenty to see and hear with a good variety of entertainment. Junior, Intermediate and Senior sections will be judged, with talented singer/songwriter Sarah Spicer, former student and super talent Keegan Brown and teacher Pippa Russell handling the difficult task. Some surprises are also planned to keep the programme moving along between acts. Doors open at 5.30 pm - with the show at 6 pm. A $2 gold coin donation is all it takes to enjoy a couple of hours of non stop entertainment. 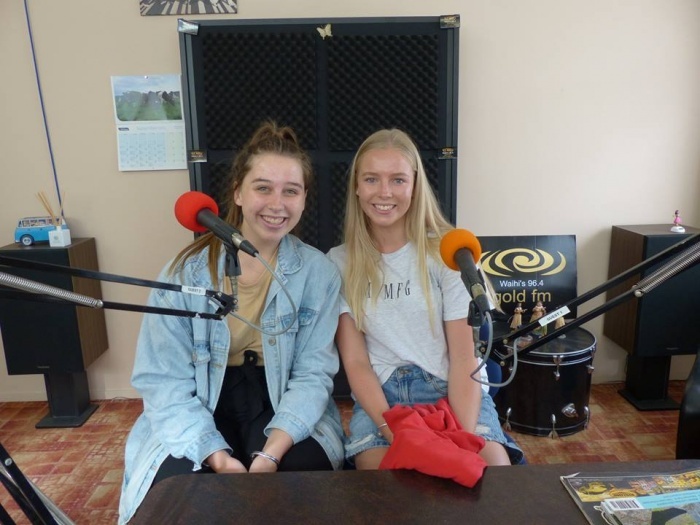 Listen in to our podcast to hear Nyah and Emily talking about the 2018 Waihi College Talent Quest.